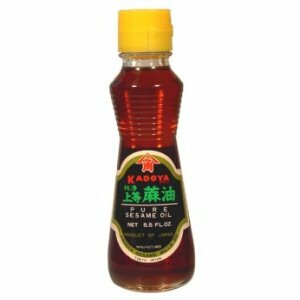 Skinny Gourmet Guy: Sesame Oil! 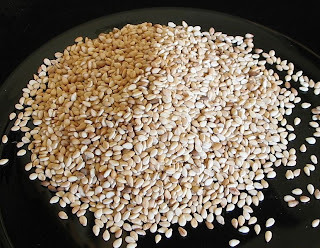 According to Wikipedia, in the Fairy Tale Ali Baba and the Forth Thieves the sesame fruit serves as a symbol of wealth. 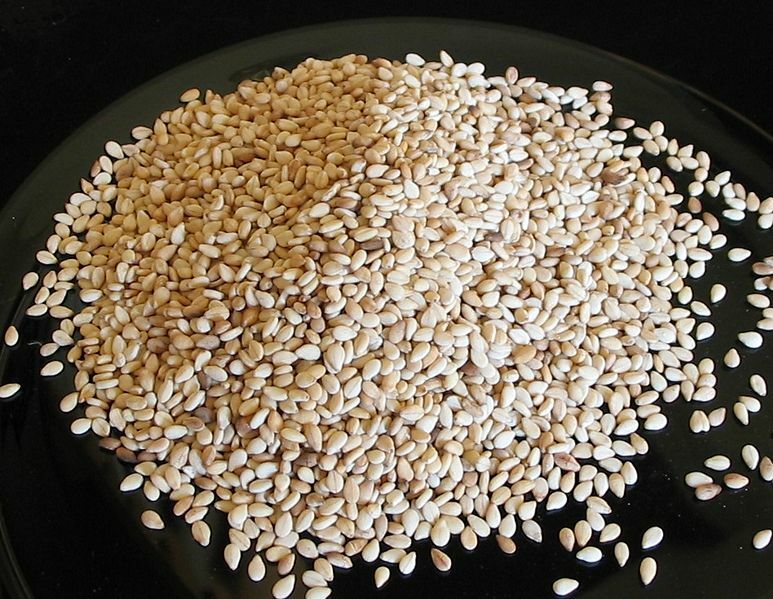 When the fruit capsule opens, it releases a real treasure: the sesame seeds. However, a great deal of manual work is necesary before this point is reached. That is why seasme is hardly ever cultivated in Western indstrialised agricultural areas. I have my friend Martena to thank for introducing me to sesame oil. It is most popular in Asia, especially in Korea and China. I can't recall ever trying it before. But it will be in my pantry from now on, so long as I'm able to find it. Martena bought me a bottle in Chinatown. I found it on Amazon for under $4 per bottle - which I find amazing given how hard it is to manufacture. I drizzled sesame oil on my Tuscan tuna salad that I blogged about this week. It took the dish to a different dimension. It is really exquisite. So far I've only used sesame oil uncooked, though it is well suited to cooking because it has a high smoking point. On that note, the oil has a slightly smokey flavor. In addition to being delicious, it is packed with nutrients. Is containes vitamin E, is an anti-oxidant and has been correlated with lowering chloesterol levels. It contains magnesium, copper, calcium, iron, zinc and vitamin B6. It even has anti-depressant properties. I'll tell you this - I wasn't the slightest bit depressed when I tasted it on my Tuscan tuna salad! Proponents encourage its use to help fight senile changes and bring about a sense of well-being. Adherents for its therapeutic use reports cliams of feeling better than when not using it. I'm going to continue to experiment with sesame oil in my recipes and will post my results. Is this what Ali Baba meant when he said, "Open sesame" - open the sesame oil and let's have a delicious feast?! Want to Lower Your Cholesterol? Roasted Beet, Carrot & Onion Soup!